Our Tradesman's Advantage Contractor's program is a great fit for meeting the specialized insurance needs of artisan contractors. It provides property coverage for your building and contents, as well as liability coverage for legal liability exposures unique to this type of business. Your tools and equipment can be covered whether they’re in your shop, in your truck or at the job site. From small hand tools to larger equipment, we can insure them all. Plus, we offer a broad array of optional coverage to fulfill contractors’ special needs. The result is a custom-tailored insurance plan just for you. 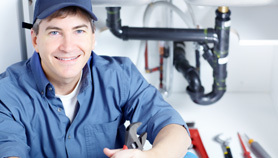 We also offer a “Tradesman’s Plus” option, which provides even more coverage at a very reasonable cost!